We have been working very hard in identifying products that will make great gifts for men. 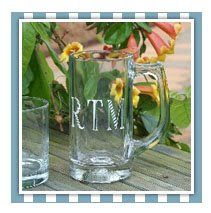 One of the first suppliers we have identified offers a nice line of personalized products. We are choosing those personalized gifts which will be most appropriate for Dads and men and will be uploading to our online catalog, hopefully in the very near future. You will be able to check out our Personalized Gifts for Men section of our website for quick access to these gifts for men.